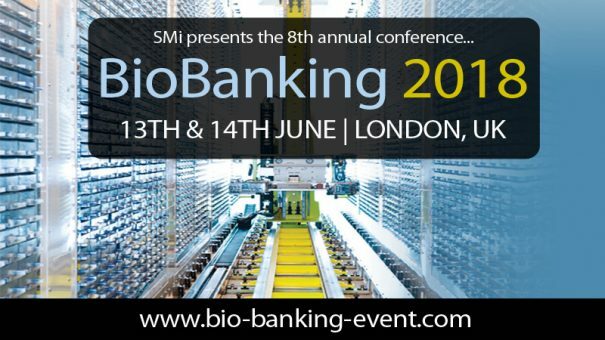 There is just over a month until the 8th annual BioBanking conference commences on the 13th and 14th June 2018 in London, UK. This year’s conference will provide in-depth presentations on biosample management, technology updates and the industrial applications of biobanking. SMi are proud to announce BioBanking’s newest sponsor OpenSpecimen, the world’s most widely used open source biobanking informatics platform, used in 65+ biobanks across 16+ countries including: University of Leicester, University of New South Wales (Sydney), Johns Hopkins University, Singapore General Hospital and many more. The CEO of OpenSpecimen, Srikanth Adiga, has confirmed he will also be speaking at the event. Mr Adiga, the founder of Krishagni Solutions – the developers of OpenSpecimen, will be giving a presentation on “OpenSpecimen: An open source biobanking informatics platform enabling biobanks to track biospecimens from collection to utilization”. He will be discussing global adoption – how OpenSpecimen is used in leading biobanks, as well as the future roadmap and integration with other databases like REDCap, OpenClinica, etc. Lorena Casareto, Operations Manager, Telethon Network of Genetic Biobanks c/o IRCCS Istituto Giannina Gaslini, has been confirmed as another new speaker at BioBanking 2018. With over 10 years of hands-on experience in rare disease biobank networking, Lorena Casareto is set to present “Telethon Network of Genetic Biobanks: providing key services for rare disease research”. Her main topics of discussion will include: the challenges of rare disease biobanks and the importance of networking, policy and procedure of sample and data access, formalising and promotion of patient engagement, and collaboration with relevant networks and stakeholders. The two-day conference will be taking place in just over 4 weeks, with places becoming increasingly limited. This year’s event will provide attendees with over 17 in-depth presentations on the future of biobanking, as well as the opportunity to network with pharmaceutical industry experts, academics and internationally recognised biorepositories.